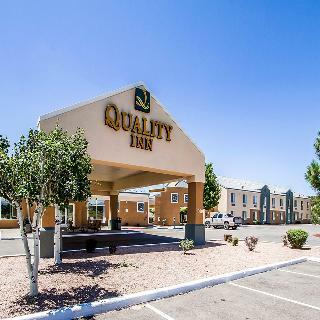 Escape to the Quality Inn near the Grand Canyon, located just off Interstate 40 and near historic Route 66. 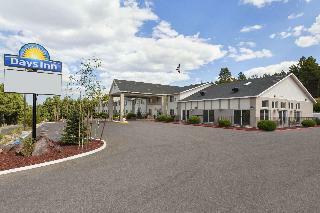 The hotel is conveniently located so you can access hiking, skiing and sightseeing. Board the Grand Canyon Railway nearby to take a scenic ride to the South Rim of Grand Canyon National Park. The Quality Inn hotel in Williams lies conveniently between the majestic sights of the Grand Canyon and Sedona, known for the spectacular red rock formations. We are just an hour to each location. This is an ideal location for your Arizona adventure or on the way to Las Vegas. The outdoor pool and Spa will be closed from Mid September until Late May. This hotel offers the perfect base for travellers who are eager to explore the Grand Canyon. Guests will find themselves just a short distance away from Route 66, in the historical old west of Williams. A host of restaurants, bars and shopping opportunities are to be found within easy driving distance of this hotel. This charming hotel welcome guests with the promise of an enjoyable stay. The guest rooms are beautifully designed, offering comfort and convenience. The hotel features a range of excellent facilities, meeting the dining, business and leisure needs of every type of traveller. Indoor temperature controlled swimming pool and Jacuzzi, new elevator, 24x7 Fitness Center. The Rodeo Restaurant & Sportsbar is open daily for breakfast from 6:30 am to 10:00 am and for dinner 5:00 pm to 10:00 pm. Nearest Bus / Metro Stop - 40.233 Km. This comfortable hotel can be found in Williams. The 73 welcoming guests rooms offer a perfect place to relax at the end of the day. 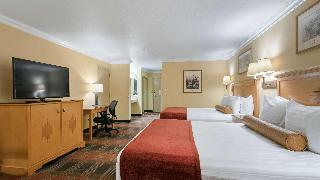 Guests can take advantage of the internet access at Days Inn by Wyndham Williams. The premises offer accessible public areas. This accommodation does not accept pets. Guests arriving by car may leave their vehicle at the accommodation's parking spaces. The property's business facilities are suitable for any type of corporate event, seminar, meeting or conference. This delightful hotel revels in its enviable setting, lying in Tusayan, just a short distance away from the southern entrance to the magnificent Grand Canyon. Guests will find themselves in the ideal setting from which to explore the sheer splendour and beauty of this spectacular area. This hotel enjoys a charming architectural design, blending perfectly with its surroundings. The guest rooms are elegantly appointed, featuring modern amenities for added comfort and convenience. Guests will be impressed by the extensive array of facilities that the hotel has to offer. Guests can enjoy bowling, tennis and an exciting video arcade, as well as the fitness room. Guests are assured of a truly unforgettable experience at this hotel.